The gallbladder is a small pear-shaped sac located underneath your liver. Your gallbladder’s main function is to store the bile produced by your liver and pass it along to the small intestine. Bile helps you digest fats in your small intestine. The term “gallbladder disease” is used for several types of conditions that can affect your gallbladder. In my last post I told you that my husband was in hospital but I did not have the time to explain in detail what happened. You can read about it in my other blog. I have also had my gallbladder removed several years ago and I remember that I had to avoid fatty food, coconut, alcohol, caffeine, dairy etc. However, when I found out that my husband also had stones in his gallbladder I did an online search to refresh my memory. The information I found is contradictory and although in one site you may read that you should eat something, in another you are told not to eat it. I also tried to find relevant recipes but there were only a few, which I did not like, so this is one of the reasons I decided to record what I have prepared for my husband, which is based on the list and translation of the general instructions given by his doctor. Ιf you have gallbladder disease and/or gallstones, following a healthy gallbladder diet can have a large impact on your health. A gallbladder diet is similar to a “regular” healthy diet with lots of fruits and vegetables, minimal animal fats such as dairy, butter, fatty meat, and eggs, no fried foods and “white” and processed foods should be avoided. Foods that are recommended in diseases of the gallbladder should be low in fat (both saturated and unsaturated) and low in cholesterol and rich in fiber. Saturated fats are found in red fatty meat, as well as animal fats such as full fat dairy products such as cream, butter, cheese, suet, tallow, lard, egg yolk, as well as certain vegetable products such as cocoa (chocolate), coconut oil, palm oil and hydrogenated oils (margarine, shortening). White meat (chicken, turkey) contain smaller amounts of saturated fats. Lean meats in general contain moderate amounts of saturated fats. Saturated fats should be avoided in all chronic and acute cholecystopathies. In acute cases such as acute cholecystitis, gallbladder colic, cholangitis, empyema and gallbladder mucocele (hydrops), acute pancreatitis they should be totally avoided. Cholesterol is present in large amounts in egg yolk, seafood (scallops, shrimps, prawns, crayfish, lobsters, octopus, squid, etc. ), offal, kidneys, liver of animals and poultry and all fat meats and their products. It should be noted that the consumption of foods that do not contain cholesterol (such as pasta, pastries, meats, oils, breads, etc.) causes the body to an overproduction of cholesterol and saturated fat, which ultimately is about the same as if one consumes foods that contain fat and cholesterol. Food rich in cholesterol should be avoided in chronic cholecystopathies such as chronic cholecystitis, simple cholelithiasis, the cholesterinosis and adenomyosis of the gall bladder in acute situations where the saturated fats should be totally avoided. Unsaturated fat is found in vegetable oils (soybean oil, sunflower oil, corn oil, etc. ), nuts and fish. Olive oil contains mainly unsaturated and some saturated fat. Unsaturated fat should be avoided and these acute diseases of the gallbladder (acute cholecystitis, gallbladder colic, gallbladder empyema, acute cholangitis and acute pancreatitis). In chronic diseases such as simple cholelithiasis and chronic cholecystitis, unsaturated fats can be consumed in small quantities and as long as the chronic situation does not become acute. The meals should be taken three times a day and should always be in small portions. Additionally they should be cooked in a healthy way, without many sauces, salt and spices. Sweets, sugar, pasta, white bread and bread products and dried legumes should be consumed in small quantities because they are fattening. The same diet should be followed even after cholecyctectomy both in cases of laparoscopic or open surgery for a period of 1 1/2 – 2 months and always according to the doctor’s advice. After surgery, your diet should transition from liquids to soft solid foods. This diet is to reintroduce food back into your system after having surgery on your digestive tract. After the lapse of the two months you can gradually add up food to your diet but limiting your fat intake as your liver still produces bile and continuously drips it into your digestive tract. It is best to consume more “good” vegetable oils which should replace animal fat but care should be taken to consume them in moderation because these will also increase body fat. When I spoke with my husband on Monday morning and he told me that the doctor told him he could come home, I was overjoyed firstly because my husband would come back home but also because I hated getting out in the cold, especially in the afternoon, after lying to rest for an hour. This year was the worst ever winter I can remember in Athens. I compare it to the negatives in old films where you see everything reversed. Everything is upside down. Our winters are usually mild, with a few days rainfall, a few days with low temperature around 10 – 12 degrees Centrigrade and the majority of days are sunny with temperatures around 12 – 17 degrees in January, around 18 – 22 or even 25 degrees in February and March, which sometimes is cold around 12 – 17 degrees but with lots of sunny days as well. This year it was exactly the opposite. We had long stretches of consecutive rainy days, a lot of windy and cold, cloudy, consecutive days for weeks with very low temperatures, not exceeding 15 degrees. We did not see the ‘Halcyon days’ during January and the only sunny weekend I can remember was the one we went to Sparta. I know some people may be laughing with us because they are used to temperatures below zero but for God’s sake, we are in Athens, so we’re not talking about freezing weather and our houses are not insulated properly for cold weather. When it snows in Athens everything paralyzes because we never have tyres suitable for snow nor do we have chains for our tyres. All our clothes are suitable for milder winters, so it’s natural to feel the cold even more. Apart from all this cold weather, we did not have the best heating conditions even at home. This year we had to cut down on heating expenses because of the economic crisis so we only had heating for a couple of hours during the evening. During the day sometimes it’s colder inside than outside. Going to the hospital every day by public transportation was very difficult. I left home dressed very warm because our home was like living in Siberia, as due to the economic crisis, our central heating was on for just a couple of hours in the evening. Reaching the hospital, was the opposite. Upon entering the hospital, it was like suddenly entering a tropical zone with 30 degrees C inside!! The worst part was the one leaving in the evening to go back home and waiting at the bust stop for the bus to come!! Some times, I had to wait about half an hour! Any way, I am glad this is now behind us and hopefully, I shall be posting some new recipes I have made for my husband. Until then I have updated some older recipes because even if they are healthy, these have to be adjusted not to have many spices, eggs, full fat dairy etc. The following dietary treatment is recommended for you who have undergone a laparoscopic cholecystectomy to avoid possible discomfort during the early postoperative period. Bread and bread products, rusks, crackers etc., without butter. Eggless small shaped pasta (preferably boiled and served with some olive oil) or boiled rice. Lean meat (veal, chicken, turkey), roasted or boiled. Lean fish (perch, pandora, cod, sole, mullet), grilled or boiled. Skimmed milk and products made from skim milk (low fat cheese, myzithra or other low fat cheese), Greek yoghurt (without the top crust), rice pudding, other puddings in small servings. Boiled eggs, only the egg white. Leafy greens boiled and served with olive oil, boiled zucchini, carrots, artichokes, fresh tomatoes without the skin. Boiled or baked potatoes or mashed potatoes. Ripe fruit, compotes, jams, fruit juices, jellies. Beverages (light tea, coffee, camomile). Desserts without butter, eggs yolks or heavy cream. fatty meat or fatty fish). Ful fat milk and products made of full fat milk, cheese. Olives, aubergines, okra, onions, cabbage, radishes, cucumbers, legumes, nuts. I didnt know that there is a thing called a gallbladder diet. But I think this diet is not only for the gallbladder I think this could also serve as a low fat diet.thanks for sharing! Hope your husband is feeling better Ivy! I know it can be quite painful – my Mom has the same issues. Thanks for the info. It sounds like we traded weather – here in NY we have had one of the mildest winters ever – it only snowed twice and melted right away. Thank you Ivy. I recently have learned I have multiple gall stones and am awaiting surgery. Thank you Elaine. Sorry to hear you are having much pain. The operation is a simple procedure and you will soon feel better again. Great post! The one food that made me the most sick when I had severe gallbladder disease was actually one that is usually recommended: arugula (rocket, roka)!! My surgeon said that arugula is extremely irritating to the gallbladder and that explained the worst attack I had by far, which almost meant I couldn’t get on the airplane from New York to Athens – I had a HUGE arugula salad just before going to the airport, and spent 3 hours curled up on the floor of the airport bathroom. It was a nightmare but at that time I had no idea that I even had gallbladder disease! My surgeon had given me a list of things not to eat and he had underlined arugula as apparently most people assume it is fine to eat, but it’s not. Since then, I have mentioned it to anyone with gallbladder disease that I know. I know that some things upset one person but not another, but it’s such an easy thing to avoid and it could really save your husband or anyone else a lot of pain and suffering. I hope he’s feeling better now that he knows what to eat to reduce irritation of his gallbladder! I’m so sorry to hear about your husband. I hope he will get better soon. That post is really informative and interesting. Catching up on your blog and am sorry to read about your husband. Lucky for him that he has a wife who is doing her research and caring about his diet! When my husband had to be put on a low cholesterol diet (very high cholesterol and son, grandson, great-grandson of men who died of heart disease) we started thinking a lot more about what foods we ate and what to avoid; we always had a pretty healthy diet but something like this makes one go a step or two farther and try and understand the pros and cons of individual foods and ingredients. A great and informative post, Ivy. Hugs to you both. I am sorry for your husband I think he is ok, and this is very good info and I think the diet is powerful way. Thanks for the info,Ivy!!! !I hope your husband will get better soon! Very interesting post! Thanks for gathering all these info for us. Another thing to remember when you have gallbladder problems is to stay as far away as possible from anything with Ginger in it. Ginger promotes the production of bile which can make problems in the gallbladder many hundreds of times worse. I love meat. My wife has been advising me we cut down on the consumption of meat in our house because its not healthy. Thanks. Had my gall bladder removed a few years ago and have tried to watch my diet since then. Nice to have new recipes and ideas to keep eating enjoyable. Diets are hard for some people to stick to, as when we see some nice looking cakes or sweets we just can not refuse. For me I must stay on a low fat diet because of have illness (pancreatitis and gallstone,kidney stone). It changes the way one looks at life and being healthy. Having a healthy diets is a must if you want to stay healthy in life, as my bad diet is how I became very ill. SO always watch what you are eating. Do you know no foods are bad for you – It is just the way you cook them and when to eat them. Some foods must be avoided with some illnesses. stay healthy and good luck with your diets.. This looks a good diet plan for good health and not just for gallbladder problems I am going to pass this on to someone I know who has gall stones to see if it helps him . Amazing…i Think you have listed everything about Gallblader diet. Before reading your post, i simply do not have any idea about this sort of dieting plan. And, now after reading your article, you can ask me any question about it. Bulk of information provided by you and i think no one will be able to provide that. Thanks.. This is very helpful. Right food keep gallbladder healthy is very important. Gall bladder helps fat digestion to our body which is very important. My first impression is that this LOOKS so healthy – the pretty foods and their variety. It looks like it would be good for everything this diet! Keep up the very good work. I hope more people find this blog. Hi, You are correct you are not a doctor, not a surgeon and not a dietician but your provide information helps me to avoid being overweight as well as unhealthy. Because I had bad habits with my food behavior & after reading your husband problem I totally change my lifestyle. Cordial thanks to you. I always like your recipe and it gives me a health life. From my childhood I was careful about my health but I didn’t know the proper way to maintain health and somehow I found your site and gave me what I was looking for. Your information really looks like expert. I personally think natural weight loss is better than using medial treatment and other unnatural ways. I don’t dislike exercise but every body can’t make exercise for old reason. So I totally agree with your provide information and Thanks for your hard work. Very great post! Thanks for sharing all these info for us. I struggled with Gallbladder issues for 7 years of my life and wished i could have read this before having it removed. Thank you for sharing this article. Oh, Thanks so much for suggestion. Wow !! It looks gorgeous. We should keep it up with the diet food and also for different kinds of diseases prevention. Thank for gathering so much information for us . 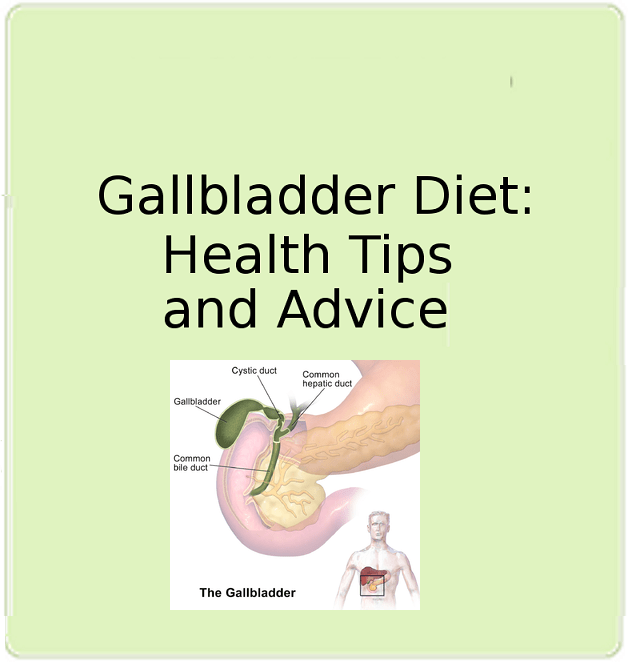 This is very interesting and the kinds of diets that are needed for a healthier and problem less gall bladder . I have learn a lot about gallbladder diet here on your site 🙂 Your site is good for learning it perfectly. Thanks for tips and info. Found this article really informative like how she lists do’s and don’ts on what to eat. Thanks for all the wonderful posts. This is helping me a lot with my own health problems. Thanks for all this informative and helpful article. Red Meat is most dangerous in all these food , it is reason for cancer. Most people have left eating red meat after knowing the reason behind cancer. Hope your husband will get well soon. Your husband is such a lucky gay who have a wife like you… and hope your husband get well soon 🙂 and your post is amazing and informative!!! Very nice dieting system that I don’t hear ever and your initiative is more constructive.Thanks!